Is Elderberry Really The Best Flu Remedy? If you’ve been around for any length of time, then you know I don’t think the flu shot is a good idea. Elderberry has been hailed as a completely safe, natural, effective alternative remedy. But…is it? Natural remedies aren’t without their drawbacks. They are not necessarily safe just because they are “natural.” Natural things can be poisonous, or can affect certain people adversely. Natural remedies are potent and serious. We must never make the mistake of thinking that all natural remedies are safe simply because they are natural. Elderberry has been hailed as safe because, well, it’s a food. We eat elderberry in pies! Surely it can’t be dangerous if it is consumed this way? However, I’ve run across new evidence that elderberry‘s effects are truly potent…and may not necessarily beneficial to all people, in all cases. As it turns out, from my early research, elderberry is very potent. But, it’s doesn’t work along the same line as Western principles. While, when I first wrote this post (in 2013), I thought that elderberry’s potent effects were enough to warn certain people away from it, I now have a better understanding of its total effects on the body. First, let’s look at what happens when it’s used during illness. Sambucol was shown to be effective in vitro against 10 strains of influenza virus. In a double-blind, placebo-controlled, randomized study, Sambucol reduced the duration of flu symptoms to 3-4 days. This study also shows that elderberry is effective in preventing viral infections like flu. We conclude from this study that, in addition to its antiviral properties, Sambucol Elderberry Extract and its formulations activate the healthy immune system by increasing inflammatory cytokine production. The Sambucol preparations increased the production of five cytokines (1.3-6.2 fold) compared to the control. Elderberry increases the production of pro-inflammatory cytokines, which may be associated with a cytokine reaction and severe complications. But, elderberry has never been specifically associated with a cytokine storm, nor causing any problems with immune function. Previously, I misunderstood elderberry‘s actions, and thought that elderberry would continue to boost cytokine production any time it was taken — even if the person wasn’t sick. But newer research shows that isn’t actually true, which mitigates a lot of the concerns surrounding it. High cytokine product can lead to a so-called “cytokine storm,” where the body massively overproduces these pro-inflammatory cytokines and the body essentially attacks and kills itself. That’s usually how young, healthy people die of the flu. One reason is that both ibuprofen and acetaminophen have been known to lead to a “rebound” inflammation effect after they are taken (source) — and many people use these to treat the flu. Basically, trying to “fight” the body doesn’t work out well for anyone (at a minimum, can prolong symptoms). But supporting it with elderberry actually works extremely well, and is much safer. First, we need to understand an important principle. Herbs, in general, do not work at all like Western medicine. In Western medicine, drugs are a single chemical that have just one single action. They always do that one action, whether or not your body needs it. And, they’re usually designed to interrupt your body’s function to try to “correct” a problem (which is why they cause so many side effects). But herbs are different. They don’t just have one action, because they are a combination of many different chemicals. These chemicals work with your body, to support it, and can actually work in opposing ways — depending on what your body needs at that time. It’s why they usually don’t have side effects, and are much safer! Elderberry contains anthocyanins, quercetin, citric acid, tannins, and lots more! Each of these has its own actions, which is why elderberry can do so many different things in the body. Some parts are pro-inflammatory…which is responsible for the immune system boost during illness. And some parts are anti-inflammatory…which can calm the immune system and promote overall health when you’re not sick. This study shows that elderberries and elder flowers regulate the immune system. This study shows that elderberries and astragalus root upregulate the immune system when you’re sick, but otherwise do not. This study shows that the flavanoids in elderberry inhibit an excessive immune response. But that’s not all. 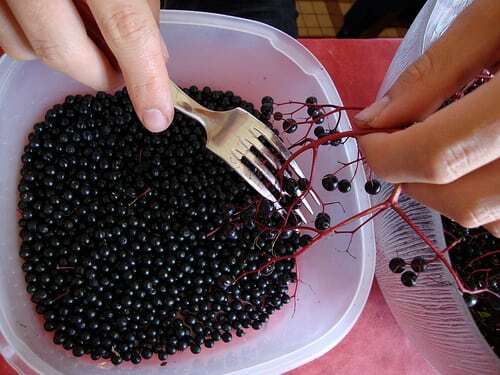 Elderberries also help to protect liver and heart health (source), and even have some anti-cancer properties (source)! Elderberry has also been shown to have anti-bacterial properties, including against a couple of strains of strep bacteria (including Streptococcus pyogenes, which is responsible for many strep throat infections). That study also notes that elderberry may be useful in preventing complications of viral illnesses, like bacterial pneumonia, and because its protection is “non-specific,” infections would not become resistant to it as they do to antibiotics. Mixing lemon juice and elderberry appears to increase the shelf life as well as preserve vitamin C, another important nutrient in fighting off respiratory infections. This is a bit of reversal of what I thought 6 years ago, but after reading more studies and having more experience with elderberry, I think differently about it now. Previously, I recommended only using elderberry during symptoms and for a short time. Now, I have seen so many people find it beneficial for daily use and avoid illness that I can’t help but update my recommendations. Based on all of this research, I will post a new elderberry syrup recipe next week that incorporates the best combination of natural remedies. This syrup may also be used for certain bacterial infections and I recommend using cod liver oil in moderate doses along with it. If you are not much of a DIY person, or are tired of making syrup only to waste half of it, then Elderberry Elixir may be a good fit for you. This is a tincture I formulated. It’s shelf-stable, very concentrated, and more cost-effective than syrups. It’s also free of allergens, preservatives, colors, flavors, and added sugars. Fermented foods, especially true lactic-acid ferments (anaerobic ferments) have been shown to activate the TH-1 immune system and prevent viral infection. Consuming fermented foods regularly may help to prevent illness. Fermented milk products (yogurt, kefir) containing lactic-acid bacteria were associated with a lower risk of allergies. (More evidence.) Kimchi is beneficial against food-borne illness. Kombucha may repair damage caused by environmental irritants and help kidney function. 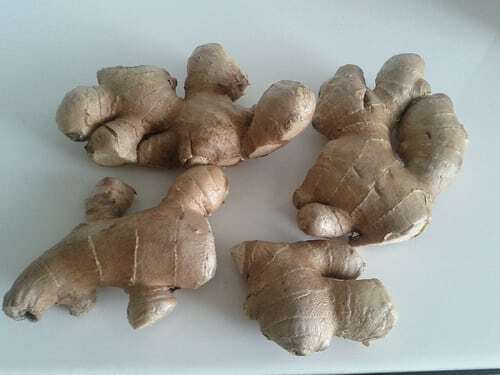 Ginger may be helpful with respiratory infections, and has been shown to have anti-inflammatory effects, including inhibiting the TNF-alpha cytokine. (Ginger is found in our Elderberry Elixir for this reason.) Fresh ginger (but not dried) was also shown to be beneficial in preventing/helping RSV. Very early research shows that pomegranate juice may be effective against flu, stomach flu (norovirus), and other infections. Pomegranate, actually, has also been shown to possibly prevent and even cure cancer of the breast, prostate, and colon. Cod liver oil is especially beneficial. It contains vitamins A and D, which have benefits in immune function. It may also protect against or slow the development of heart disease. It has anti-inflammatory properties as well. It may decrease the risk of respiratory illness (more evidence). It also affects the fat-soluble vitamin content of breastmilk. It may play a protective role against cancer death, and help rheumatoid arthritis. It may reduce the risk of type I diabetes (other vitamin D supplements didn’t show the same effect), also reduces risk when pregnant women take it (other vitamin D and multivitamin supplements didn’t show the same effect). It’s beneficial for eye health and may decrease the risk of glaucoma and associated blindness. Elderberry has a long, long history of use as both food and “medicine,” and is beneficial to health in many ways, above and beyond flu treatment. It’s a worthwhile herb to include in your diet regularly. Including other herbs, like ginger or mullein, is a good idea, too! Yes, I had way too much fun doing all that research. It took many years of experience and many hours of reading to do it all, but I feel like I’ve learned so much (you can read all the studies I did by clicking the links throughout the text). I hope to bring you all more posts in the next few weeks based on all I have learned from writing this one! Do you use elderberry? Why or why not? Very well said. That is the same research I found when deciding if I should give this to my children. You need to treat it with respect, as with all herbal/natural remedies. I can’t stand when people are under the impression that because something is natural there is no harm. They are also like drugs (to me) and people can get in the habit of over doing the natural things too. Our bodies (according to one naturopath) need to fight things on our own too, and not become addicted to “natural” medicine too. Thank you for posting this! I appreciate you doing all that research. Psoriasis which are autoimmune conditions. Setting myself up for future problems. Thanks for all that you do and share! I love this post. I will be referring back to it quite often! Thank you! When you post the recipe (which I am hugely looking forward to) can you please specify whether maple syrup is ok to make it with instead of honey? I have not seen a recipe that does, and I try to avoid honey for my son. Thanks Kate! Does “taking elderberry” include drinking an elderberry tea? Thank you for this information. I think it’s very important to always delineate the risks involved with natural remedies in particular, since many people assume that just because it’s natural means it’s safe. I would add to the list turmeric milk. I just got over fighting off a nasty cold that would have turned into something worse back when I wasn’t doing all this weird stuff lol. I used a combination of elderberry, apple cider vinegar (for sore throat), green tea with ginger and honey, and turmeric milk 3 times a day. Gone in two days!! I’m gonna try the pomegranate juice next time. Thanks again and I enjoy your work! Great info to know. I still need to make this and haven’t done it yet. I was thinking of taking it everyday but now I will definitely reevaluate that decision. Thank you!! I made elderberry jelly & know people who eat it lots .Lots of foods have different properties ,but it doesn’t make them bad to use as daily foods. The pioneers used them for main fruit in some places. Broccoli will cause blood to clot & your blood thinner not to work as well. Garlic will thin your blood & cause you to bleed to much , if taking blood thinners. I think in moderation they are all ok for foods, as they have important nutrients in them. Potatoes,mushrooms & soybeans pick up pesticides more than any other foods.There are lots of facts we can learn about all foods if do some research on them. God bless. thanks for the good information. as for oscillococcinum, there are different schools of thought when it comes to homeopathy and while some homeopaths adhere to the single remedy practice, there are many homeopaths who regularly and successfully treat with combination remedies. for the flu, muccococcinum (similar to oscillococcinum) is a good choice as a preventive (and treatment) taken once every other week during flu season. Where can I get elderberries or good quality elderberry syrup? Interesting info. I would be interested in knowing who backed those studies about elderberry. Natural or conventional researchers? I really hope people aren’t scared away from using elderberry because it really is a wonderful remedy. We take it daily during cold and flu season (with breaks here and there) and swear by it. Hi, thanks for this information although I am still confused. My family and I all get asthma on occasion….so should we use elderberry or not? What about elderflower, could we substitute that – would it have a milder effect? Once again, thanks for posting this. Though I completely agree with being as cautious with “natural remedies” as with medicines…I am confused by an apparent contradiction in your post. You say because elderberry increases the cytokines that it should not be taken daily, but then you say that it only increases the cytokines during illness…so why not take it daily during flu season? I was curious if you and anyone had heard of or experienced a heightened immune response when using elderberry. I mean really heightened: I am fighting some kind of upper respiratory infection that has cough and fever but nothing else, and my fevers have been very high, like 103-104+ especially if I bundle up. I have been using my elderberry syrup that I made a couple weeks ago for my hubby who had it as a really nasty cold. I’m just wondering if all I’m doing, the elderberry, thieves oil, vit D and cod liver oil is putting my immune system into overdrive. 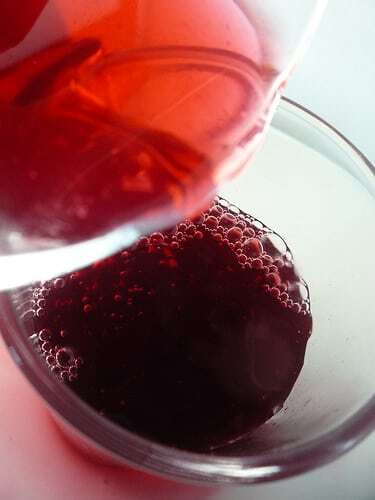 A Guide to Elderberry Syrup Plus 8 Great Recipes! Well, I’m thoroughly confused now. I am 33 weeks pregnant and yesterday I took 4 doses of elderberry syrup due to flu symptoms. You say, this is give my unborn child chances of autism? My 4 month old and I have the flu. The elderberry syrup I got said not for lactation or pregnancy, and for 2 years and older. Would you give this to your baby? I would like to begin by saying that I also firmly believe that herbal preparations and natural medicines in general need to be treated with respect, and one should do ample research or seek the advice of a professional herbalist or natural healer before implementing the long-term use of any herb or natural remedy. Also, of any blog on the web that discusses natural medicine and herbal healing methods as a means of leading a healthy lifestyle, this by far has the most extensive research I’ve seen. As a scientist myself, I appreciate that very much. I did, however, find your article lacking in a general understanding of how scientific studies are meant to be interpreted. The scientific studies you have quoted here are carried out independently from one another. To draw any type of relationship between them as a means to demonstrate- or imply, as you have done here- some kind of causal relationship is a fallacy. More specifically, you seem to imply a causal relationship between the increase in cytokine production associated with Sambucol and the increased cytokine levels associated with ASD/severe influenza/asthma/autoimmune disorders. In order to scientifically produce some kind of causal relationship between the use of Sambucus preparations and the types of cytokine storms that are related to ASD/severe influenza/asthma/autoimmune disorders, one would have to conduct separate experimental research studies on each variable in relation to the use of Sambucol. The mechanism involved with cytokine production and immune function is too intricate and delicate a process to simply surmise Sambucol’s effect on its function and regulation without proper scientific experimentation. Your article would make an excellent discussion section of such a study, but to draw such relationships based on opinion and rhetoric alone is misleading, and misinformative. I am an advocate for the daily use of Sambucus preparations during cold and flu season in healthy individuals. I think that this article instills an unnecessary amount of fear into people who are seeking a healthy alternative to western medicine and OTC options to treat cold and flu symptoms or as a preventative measure to prevent such illnesses. I can see where one with an autoimmune disorder may want to operate from the precautionary principle when considering whether or not to take elderberry, and for that I appreciate the inclusion of this consideration in your article. I have a problem, however, with the inclusion of the ASD study, which seemed to me to be irrelevant to your main argument, seeing as how later in the article you state that “ It should be safe for pregnant and breastfeeding moms (whose immune systems may be lowered, especially in pregnancy, and could benefit from the boost) and there has been no report of any adverse effects from use in these cases.” Were you including the ASD study specifically to address a word of caution to the use of Sambucol in infants/toddlers/children? If so, I would have specifically said so. If not, I’m not sure why the study is included, aside from the fact that it may have been an opposing opinion to the “elderberry is safe,” mantra for you to work with in this article. Even then, though, the ASD study did not have anything specifically to do with Sambucol and it’s relation to ASD, so it provides no supporting or opposing evidence whatsoever to the “is elderberry safe,” debate. On a more personal note, as a mom (one who is expecting kiddo number two, at that) I pay very close attention to any article or study that suggests a relationship between any environmental factor and autism, since the rate of autism in this country is so astoundingly high and the scientific community is still trying to pinpoint exactly what factor (or factors) cause autism. I personally would not even bring up the issue of autism unless there was a solid and statistically sound study that provided evidence to support my argument. I understand that it is necessary and important to do rigorous scientific research when adopting alternative medicine into ones lifestyle- a step that most people do not do, either because they feel overwhelmed or because they do not know how to properly analyze scientific papers- however one must weed through the evidence tactfully in order to reach sound conclusions. Thanks for your hard work/research. Stephen H. Buhner in his book Herbal Antivirals does an outstanding job as well explaining cytokine cascades/storms and Elderberry usage. He is one of the few Master Herbalists I trust. 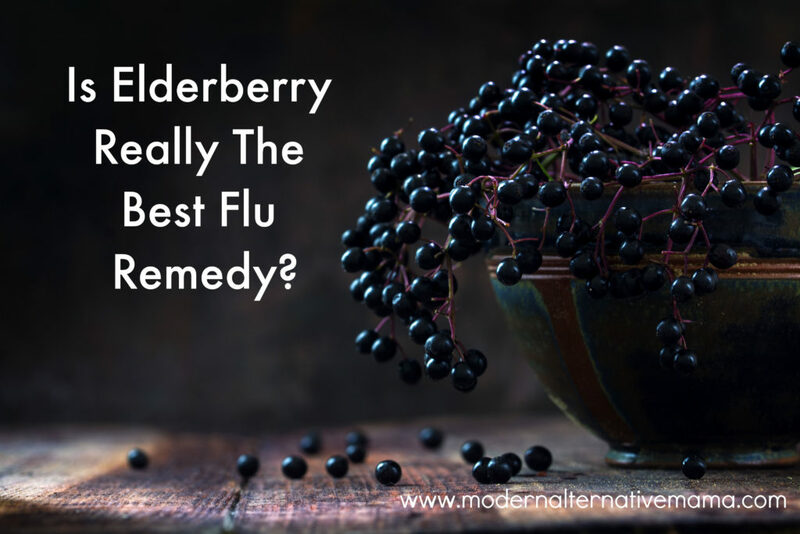 We know Elderberry works from personal experience with flu. However, fantastic alternatives to consider are Boneset and Lomatium Dissectum and Baikal Skullcap. I agree with all here that herbal medicine must be respected and used with great care and caution. Blessings to all and God blessl. I’m jut confused and wondering if you can clarify for me… if we don’t want inflammation in an infant ( http://www.beyondconformity.org.nz/hilarys-desk/how-a-baby-fights-infection-and-develops-the-immune-system ) , do we really want pregnant and breastfeeding moms taking elderberry when sick? Thank You for doing all of this ” footwork ” and letting us all know about the possible side effects. I love this stuff ! I am a firm believer but I also need to know what I might be getting in to ………. I have found conflicting info on other sites about H5N1 virus strain efficacy. One site said that it was 99% effective ……. another site said to stay away from ELDERBERRY because it increases TNFa and IL-6 . WOW …. polar opposites ! …… THANKS AGAIN SO MUCH !!!!!!!!!!!! ……. ya might wanna put a picture of elderberry up though , your picture shows privet berries as of now …….. Thank you for the info. I personally am a believer in taking Sambucol. I haven’t ventured into making an extract for myself. In any case, I think caution is a good thing and I love reading information about the health effects of herbs and plant extracts. Kate, it’s always so refreshing to see a site that includes so much research. I know that takes loads of time, so thank you for doing it. Question: I noticed you suggested taking elderberries along with FCLO. I’ve read so many good things about it, but I’m currently pregnant and my doctor is concerned that taking it along with my prenatals could be a risk because of vitamins A and D being in both the prenatals and FLCO. I know that FLCO has natural vitamin A and D, and that most CLO has synthethic A and D. Have you seen any research on the safety of taking FLCO or CLO along with prenatals? I am currently taking prenatals from Metagenics called Wellness Essentials. I was also wondering about the safety of it if I took FLCO or CLO along with prenatals while breastfeeding. Interesting article! I have an inflammatory inner ear condition that causes chronic dizziness and the day after taking home made elderberry syrup w/honey (at 1 TBPS every 2 hours), I had bad vertigo. I’m wondering now if the inflammatory response from elderberry made my inner ear condition worse? The good news is that it stopped my cold dead in its tracks. I have tried reading this article for several days now, but can’t see anything besides the comments. Is there a problem with the original article? Any suggestions on how I can view it? Thanks so much! Tylenol and the other drugs are worst and many people keep taking them. Even though Tylenol and the others in the long run could damage the mayor organs. Just don’t be too afraid about using this product. My 5 years old daughter is autistic and she feels great in just 2 days, make sure that the medicine is organic and won’t have any problems. Thanks so much. Elderberry was just recommended to me as a way to get Vitamin C, but after reading a bit about it, I too seemed to understand that it would boost the immune system rather than build the immune system. It’s fine to make the immune system work harder when you are getting sick, but keeping on revving the engine isn’t a wise daily choice. Thanks for doing the research to confirm my hunch. I have asthma, psoriatic arthritis, Crohn’s disease, psoriasis and fibromyalgia. I started taking Elderberry tea for bronchitis and persistent asthma and I can attest that my psoriatic arthritis and fibromyalgia got Much worse despite being on immune blocking drugs. I would strongly advise people with autoimmune disease avoid this. What do you mean when you say elderberries and astragalus root upregulate the immune system? What does “upregulate” mean?